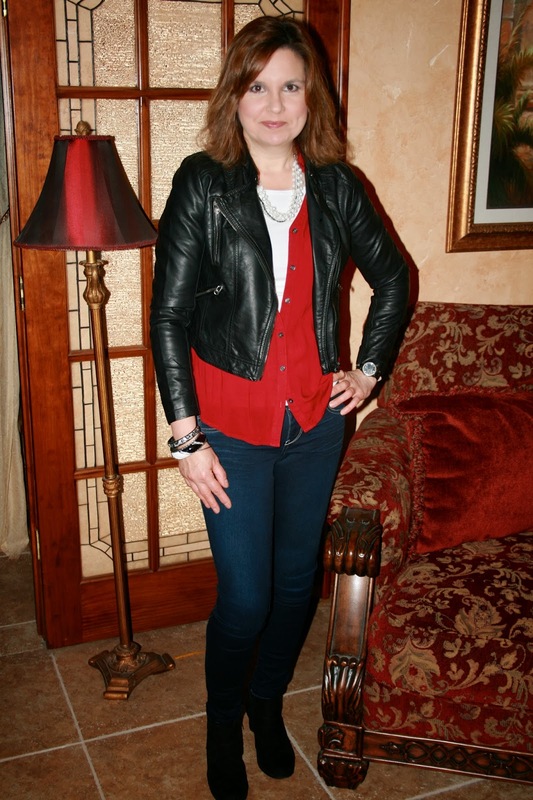 In place of the black polyester pants, I wore Extreme Stretch dark blue skinny jeans from Express. Because the material is SO stretchy, they are very comfortable, and forgiving, and they give me the extra stretch where I need it without having to resort to wearing elastic waistband pants! LOL!. 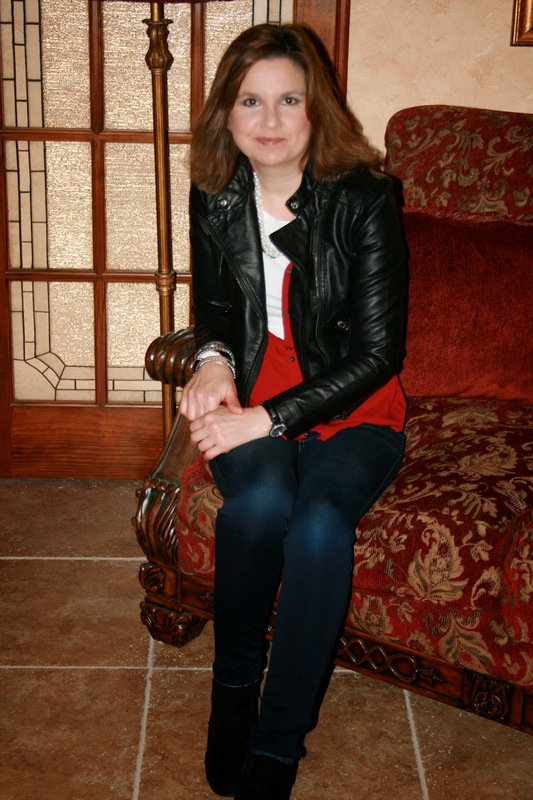 The red silky shirt is also from Express and it is part of the Portofino collection. I wore a white long sleeve polyester tee from H & M underneath. The jacket is from Forever 21. 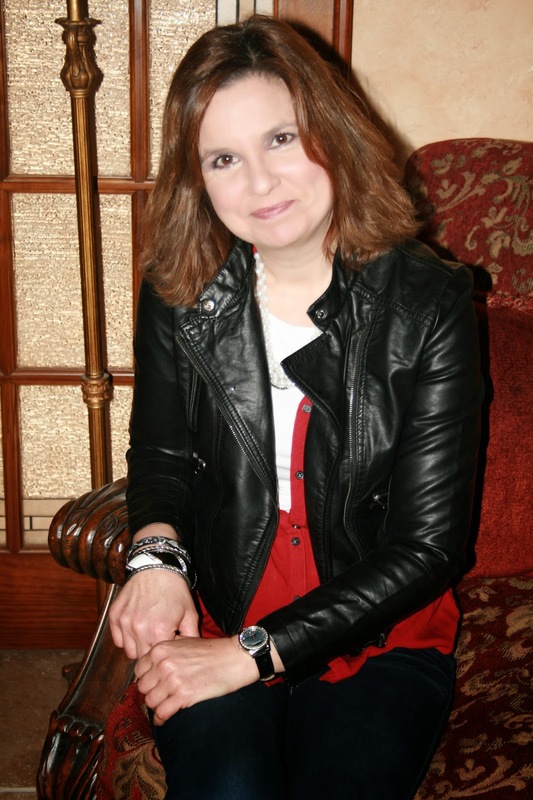 So, you see I'm still doing 'the double shirt' trick most over - fifty years old do: I'm just doing it in a trendier, more interesting way by using a faux leather jacket instead of a second shirt, cardigan, or blazer, and I'm wearing skinny jeans instead of black polyester pants. 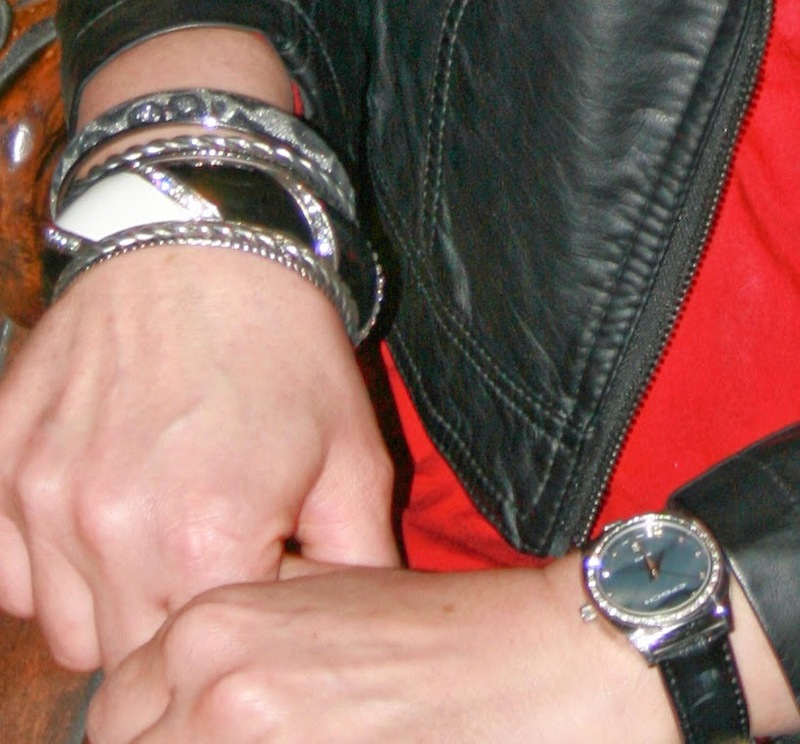 For jewelry, I wore a collection of silver bangles and a watch. Whenever I wear a 'tougher' look, I like to feminize it a bit by adding some really girly jewelry like these pearls from Tori Spelling. 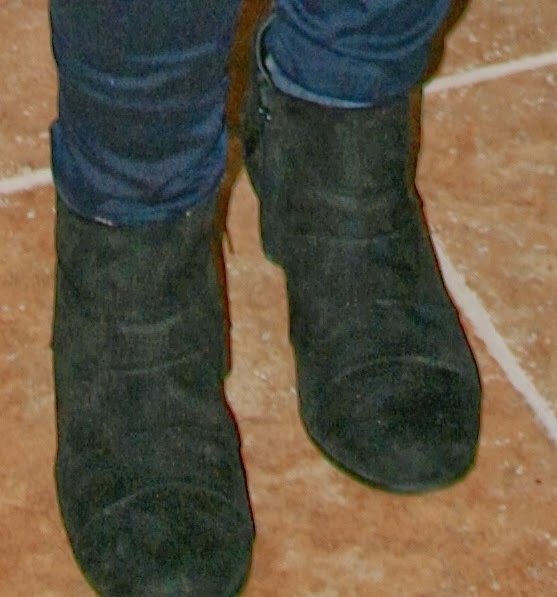 For shoes, I wore suede, black booties from Famous Footwear. I hope I have inspired you to today to have the courage to step out of your style rut and take the risk of wearing something trendy. But if your not there yet, and you feel comfortable wearing the traditional double shirts and polyester pants, that's o.k. too. We all should have the freedom to wear what we feel comfortable wearing without fear of criticism. Wear the clothes that reflect who YOU are, not what someone else thinks you should be. Hello! Today I have a sympathy card to share. I'm at the age where all my friends are starting to lose their parents. I've had four friends this month alone who have lost a parent, so I have unfortunately had to make a lot of sympathy cards. We were joking in our Sunday School class 'Were next! ', meaning, we are the next generation to go. I know some people would consider it crude to joke about death, but when your a believer and you know the wonderful future heaven holds for you, you don't need to fear death. Death is not the end for a believer, but only the beginning. However, even if one knows their loved ones are in a better place, they still miss them here on earth and I therefore hope my sympathy cards bring them some comfort. 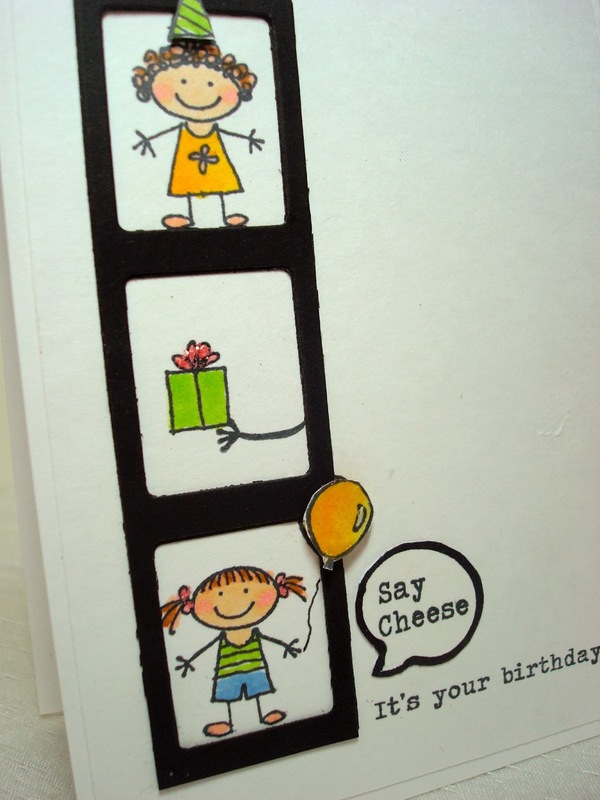 I like to keep sympathy cards very simple, so I chose a CAS layout from the Clean and Simple blog. 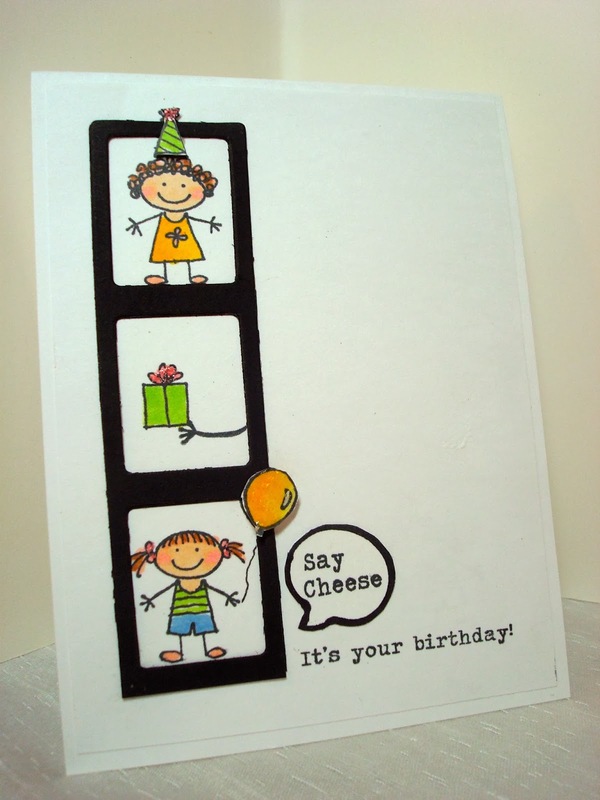 My image and sentiment are from retired Stampin Up! 'Thoughts and Prayers'. I put green Flower Soft on the leaves to add some detail to this simple card. A ribbon and bow are my only embellishment. Hello! Today's travel post is the first post of our last day in Pensacola Beach, Florida. 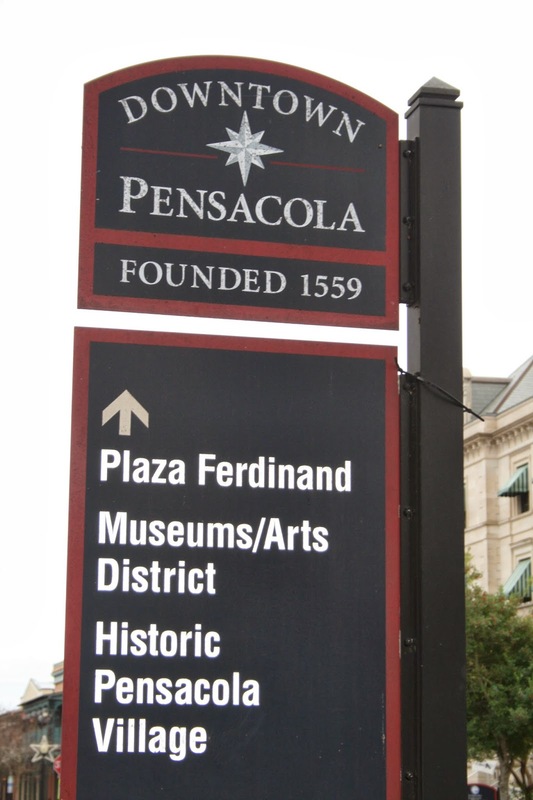 It was a cool, over cast day in Florida, so we went to visit historic downtown Pensacola Florida in the morning. We drove around the older neighborhoods, stopping the car to take pictures when we saw some interesting older homes. I was actually surprised that were so many vintage homes in Pensacola that are not only still standing, but appear to be in very good shape. One thing I noticed about Pensacola Beach, was that everything seemed 'brand new'. Our family just attributed that to the fact that the area is probably constantly rebuilding and repairing after every tropical storm and/or hurricane that hits the barrier island. Pensacola is protected by the barrier island of Santa Rosa Island, so maybe they don't incur near as much damage from storms. I don't know. I'm just guessing. Here is one of the lovely older homes in the historic village that we really liked. We kept seeing all these beautiful orange trees in front of every house. I don't know how good the oranges taste, but they sure are pretty as ornamental trees! I can't tell you what a joy it was for me to see flowers in January! I snapped this picture of Azaleas that bloom in May in Wisconsin, but obviously bloom in January in Florida. 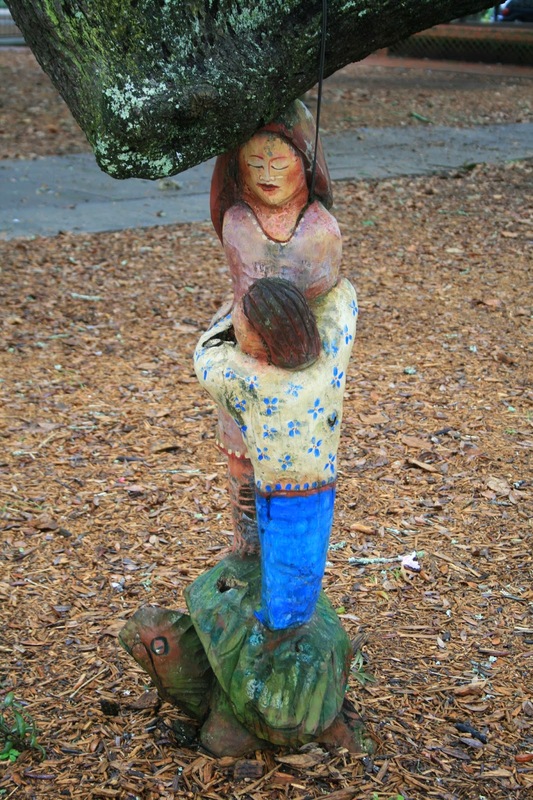 This is a carved tree sculpture which is holding up a heavy branch of the same tree. I've always had a fondness for yellow houses. Here is another historic home in the village. After we toured the historic neighborhoods of Pensacola, we then drove to the business district. Pensacola is only about four hours from New Orleans, so we weren't surprised to see the influence of the French Quarter architecture in Pensacola. We were blessed to be able to go inside one of the buildings that had a lot of restaurants/bars and take these pictures. The history is this place was phenomenal! Here is a billiard room in one of the bars. 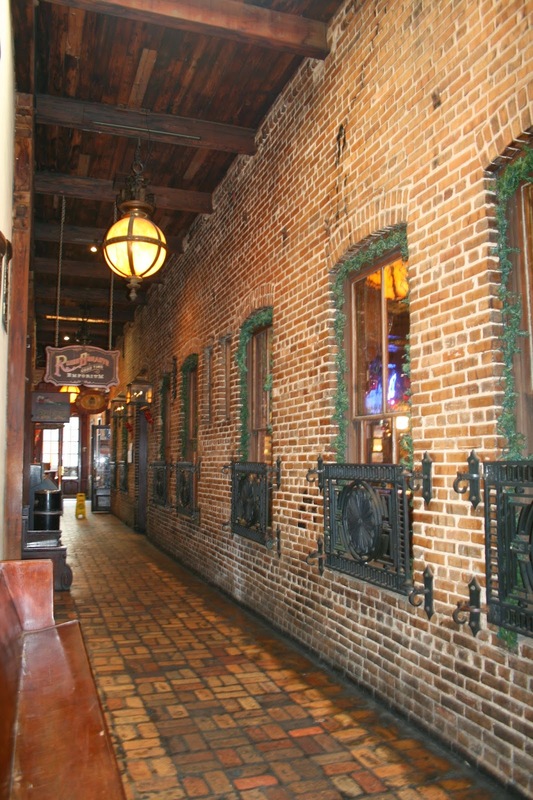 This is a restaurant: don't you just love all the iron and brick work? Another beautiful lighting fixture. There was so much gorgeous wood in this place. We found this very, very old bar. It reminded me of a saloon you see in old western movies. 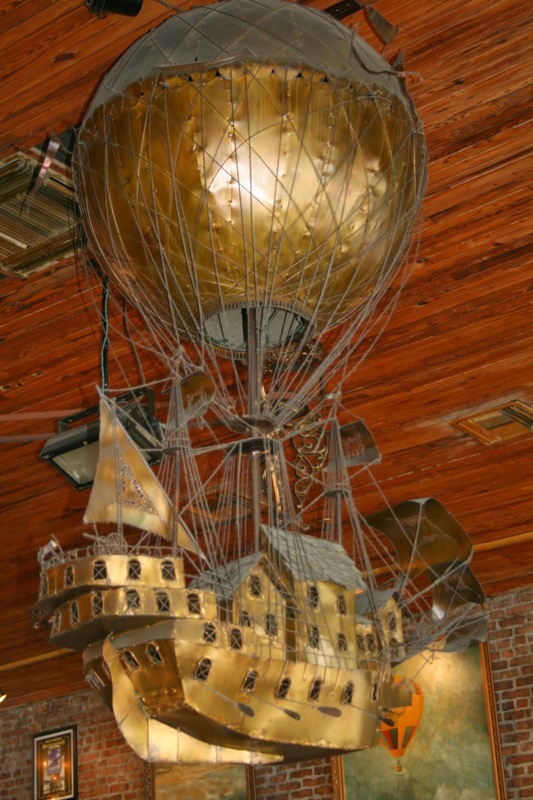 The saloon was decorated with a aviation theme and had lots of pictures of hot air balloons and airplanes on the walls, and lots of replicas like this hot air balloon hanging from the ceiling. 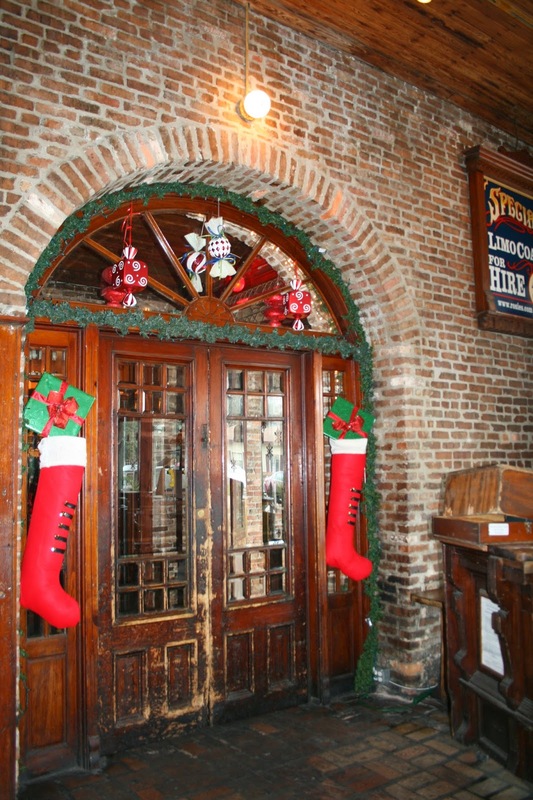 These beautiful wooden doors are the entrance to the saloon. I loved all the iron work in the business district, especially if it was a teal color like this one. 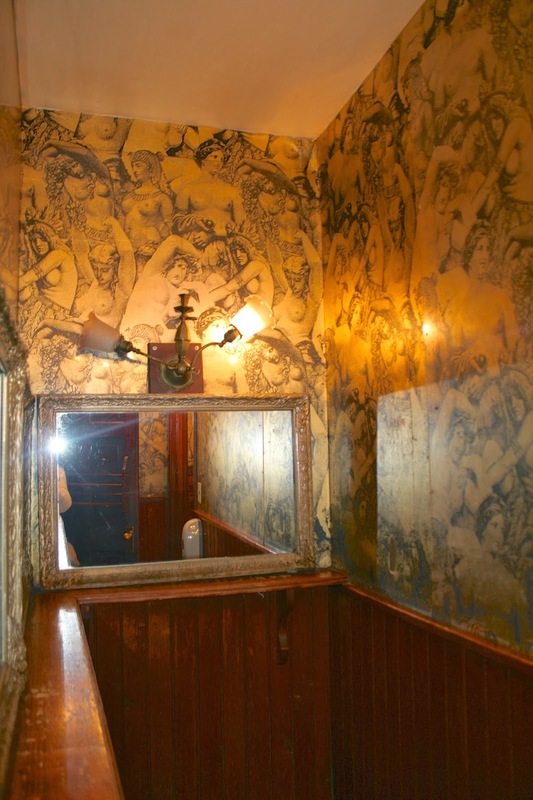 This is a portion of the ladies restroom. It's a long, narrow area just for touching up your make up or hair. The wall paper was very interesting. 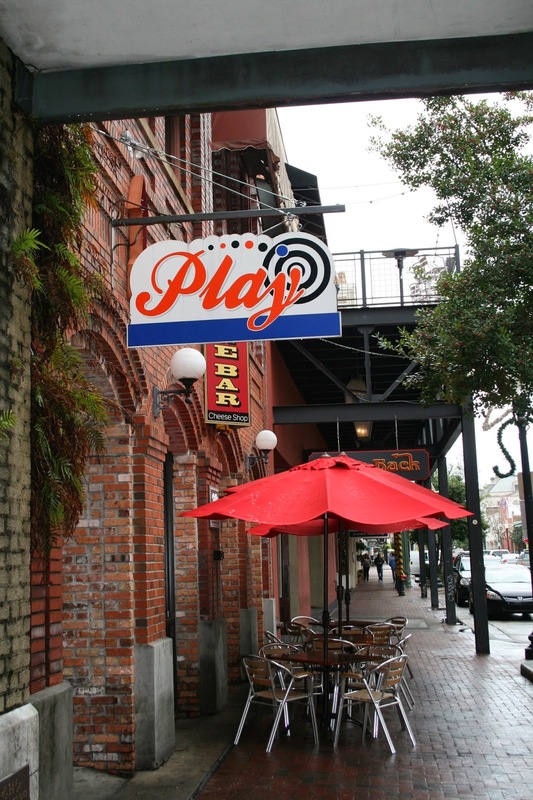 There is a beautiful brick enclosed alley that connects all the bars and restaurants together. 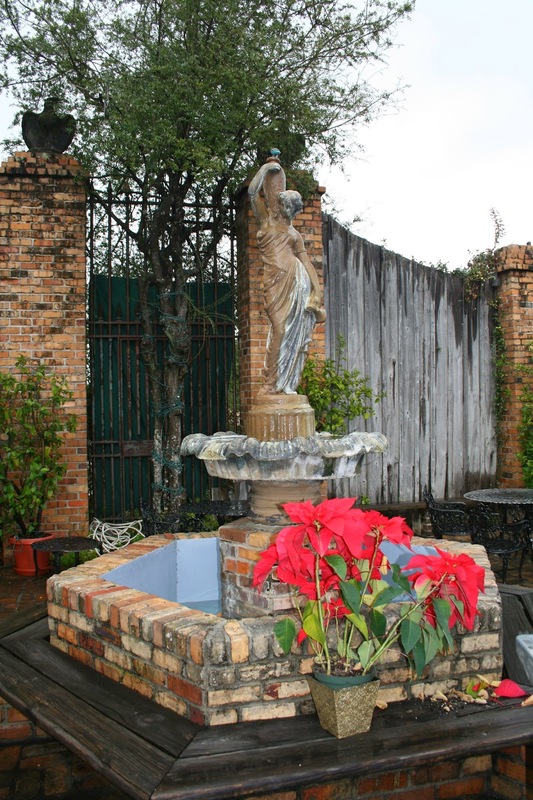 Outside the restaurant is a lovely garden courtyard. Parked outside the restaurant was this vintage fire truck that my husband matched perfectly with his Wisconsin Badgers sweatshirt. I believe this was the museum, that we didn't visit because of lack of time. I always marvel at the palm trees….we just don't see those type of trees in Wisconsin! They are such a treat to my eyes! This is another business district. There wasn't much shopping in the area, it seemed mostly to be filled with bars and restaurants. It probably has quite the night life! The New Year's Eve celebration is held in this area, and I read that it draws 55,000 people. We did not attend that because it was so cold New Year's Eve. There were lots of seating areas outside the restaurants. I loved seeing LIVE hanging plants. Everything is dead in Wisconsin in the winter, it was so nice to be somewhere that had LIFE in the middle of winter. And finally, you all know how much I love old churches. Here is Pensacola's historic church Old Christ Church established in 1832. Gorgeous! 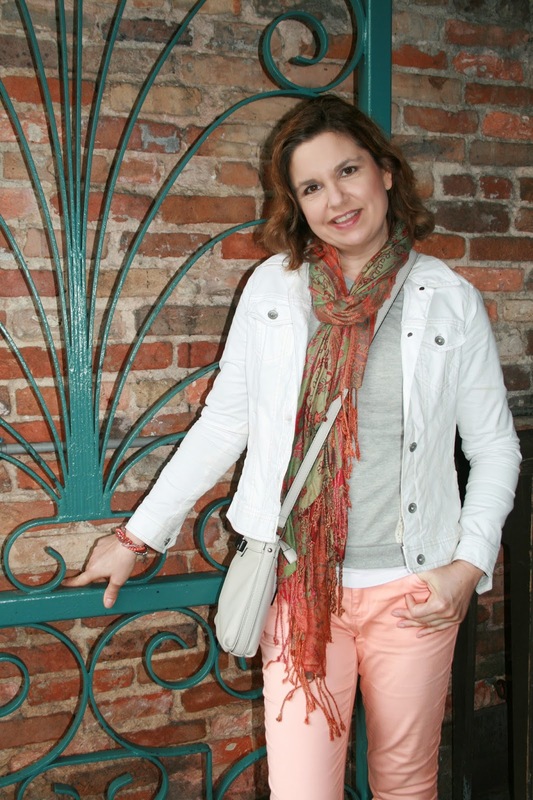 Fashion Over Fifty: Staying Warm in the Arctic Freeze! Hello! Is it cold enough for you? This has been the worst winter we've had in Wisconsin in a long time. It is rare if the average daily temperature is above 0 degrees. Last night when I got off work it was 17 degrees below zero. Although I had gloves on, my finger tips were in agonizing pain from the cold for at least twenty minutes before the car warmed up. I really detest winter. Come quickly spring! So the topic of extreme cold weather brings me to this week's Fashion Over Fifty post: how to look fashionable, yet stay warm in arctic cold temperatures. Well, I love sweater dresses and find them to be dressy, yet warm and comfortable at the same time. In a previous post I showed you THIS Aztec print sweater dress that I wore with black leggings and a scarf. 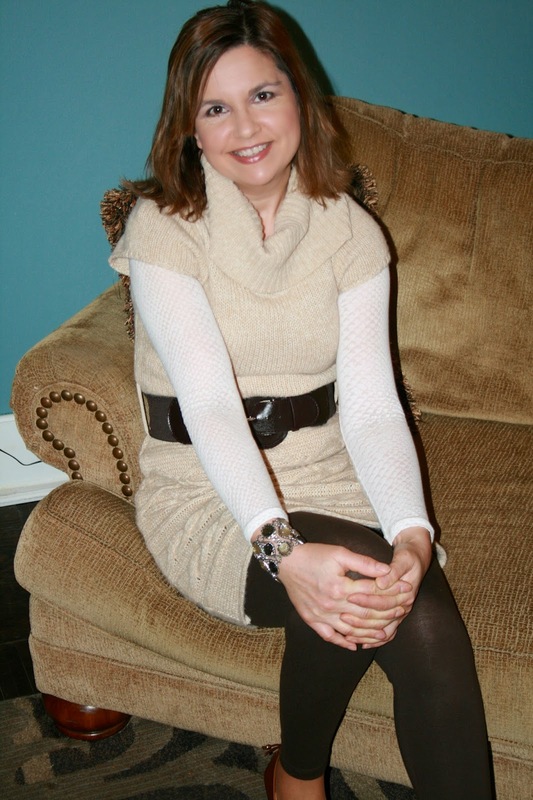 The sweater dress I have on in the pictures below was purchased a year or two ago from J.C. Penney. It came with the belt, and has a cowl neckline so I didn't wear any scarves or necklaces with it. It's only drawback is that it is short sleeve, so I wore a thin long sleeve shirt (OLD) from Express underneath it to keep my arms warm. I always think short sleeve sweaters are an oxymoron. I mean really, if it's cold enough to wear a sweater, don't you think it's cold enough to need that sweater to cover your arms? Because I was quickly going from a car to inside a building when I wore this outfit, I wore brown ballet flats. If I were to be walking outside long, I would have worn this outfit with boots. I love to wear leggings with my sweater dresses, they are so much warmer than tights and nylons, and I think they are a bit more modest when worn with shorter dresses too than if you just wore nylons. I was all enraged yesterday when I read on another blog that in a popular magazine for 50+ women, they asked in a survey if it was appropriate for women over fifty to wear leggings. Really? Are you kidding me? Does that question even need to be asked? What is wrong with women over fifty wearing leggings? I tell you, the fashion industry is going to have all of us 50+ women walking around naked pretty soon if they keep telling us everything we SHOULDN'T be wearing, because there won't be anything left that they consider age appropriate for us TO wear! LOL! Well in your face, "____" magazine, this is what a 51 year old woman looks like in leggings! My response to their survey was that clothing appropriateness is more about a woman's size and shape, NOT her age, and that women of any age could wear leggings, as long as they covered their bums and did not wear leggings as pants. Enough venting, onto the shoes. I wish I had a picture of the heel of these cute flats, because they have a nice detail of a tie with a gold embellishment on the heel. I forgot to have my hubby take a picture of the heel of the shoe. Sorry. they were also purchased last year so I don't have a link either. 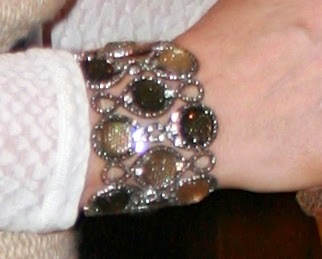 The only jewelry I wore was this large gem bracelet. I don't remember where I got it from, but I've always loved the beautiful brown tones and sparkle it gives off.